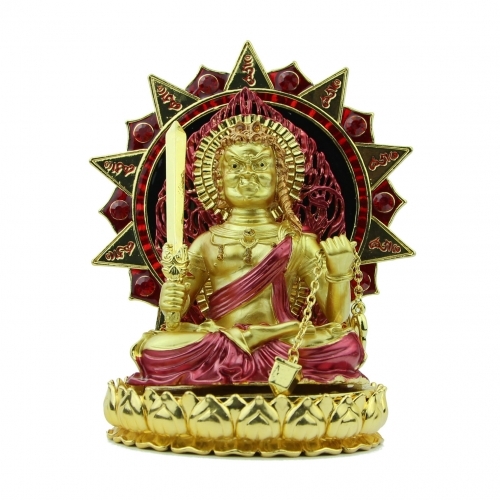 Use this bejeweled buddha acala for protection for the Year of the Rooster. 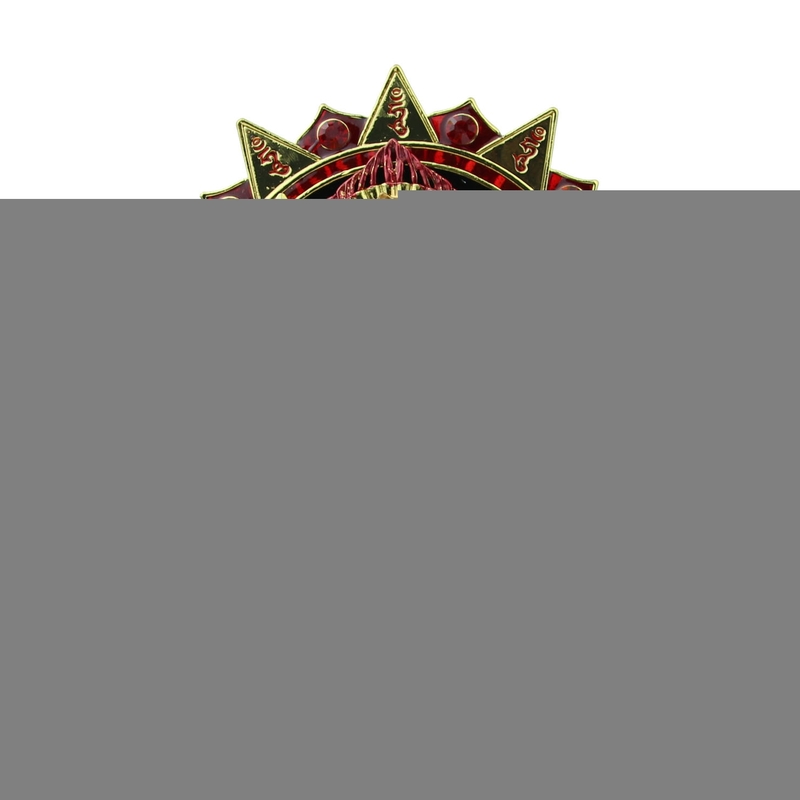 The ornament is embellished in gold and red color, and features the powerful Buddha Acala on a lotus seat. Acala is the Guardian Buddha for the Rooster, and the bodhisattva saint will dissolve hindrances, obstacles, and conflicts. Place this gorgeous bejeweled Buddha Acala in any locations that are influenced by the Killing/ Conflict Stars to ensure protection. In 2017, the Year of the Rooster, the Yearly Conflict star is present in the North; people whose bedrooms are the the North (or are born in the Year of the Rat) should place the Buddha Acala in the north sector. In 2017, the Yearly Killing star is present in the Southeast; people whose bedrooms are in the SE (or people born in the year of the dragon) are recommended to place the Buddha Acala in the SE sector. Additionally, people born in the year of the rabbit should place the Buddha Acala in the East, and people born in the year of the Rooster should place the Buddha Acala in the West sector. The dimension of the Bejeweled Buddha Acala statue is approx. 5" x 3 1/4" x 6". It is made of alloy. The base can be opened.